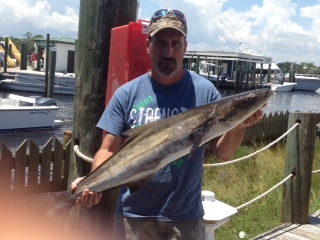 Cobia, also known as ling or lemonfish, are a favorite catch among locals in Orange Beach, Alabama. 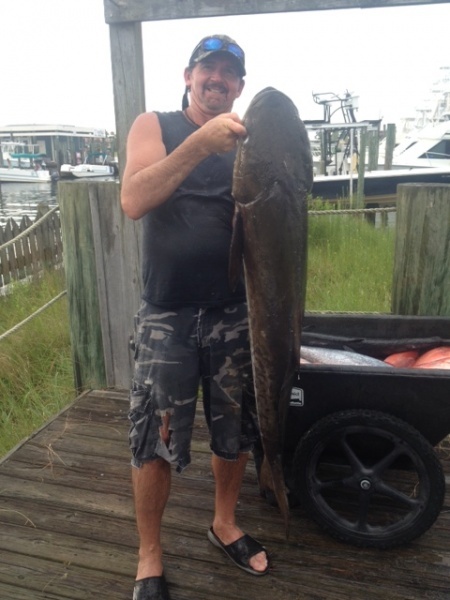 Cobia can grow to be giants – some growing as large as 130 pounds! 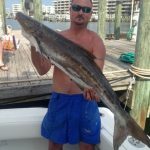 – and they usually travel alone or in very small groups. 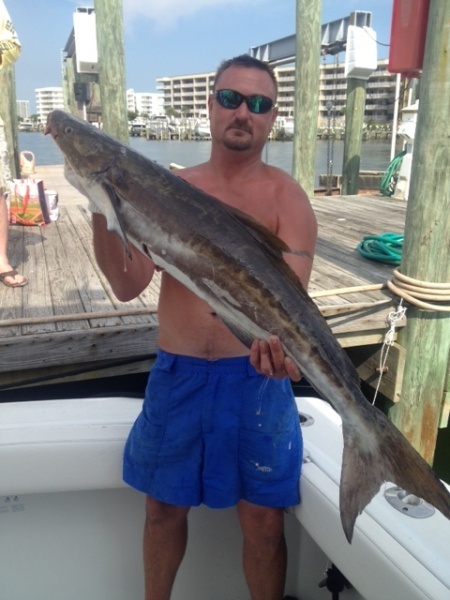 Cobia often swim near the surface, giving you a chance to catch a glimpse of these giants before you cast. 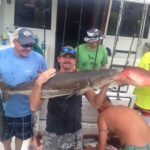 Seeing a large cobia near the boat is rush even for experienced anglers and many will try to grab the elusive cobia, but not all succeed. 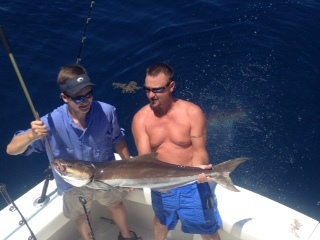 With Capt. 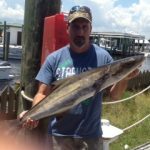 Chad Reyer and The Triple-Trouble, however, you’ll have the best opportunity possible to land one of these incredibly trophy fish. 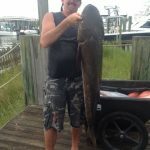 From a distance, some mistake cobia for sharks because of their white underbelly, prominent dorsal fin and their large size. 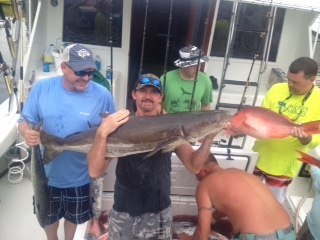 Closer up, though, cobia look more like large catfish, featuring brown backs and large, flat heads. 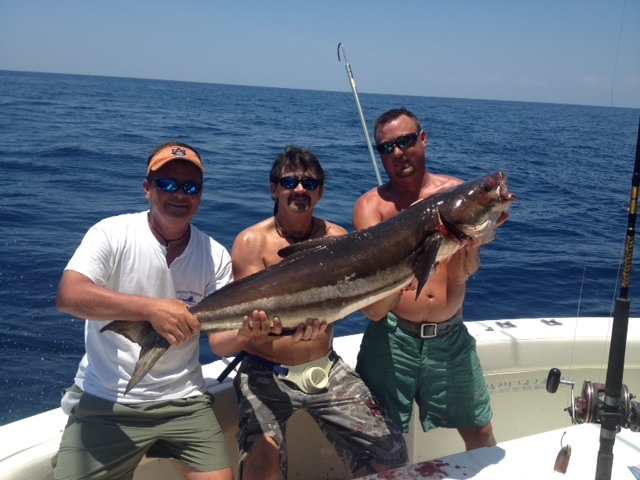 Cobia can be found in Alabama generally during the spring run, showing up around early March and running until early May. 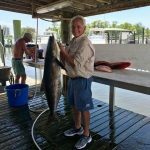 During this time, many of Alabama’s anglers bring out their best tactics to catch a large cobia, baiting the waters and sight fishing from towers to catch these fish near the surface. 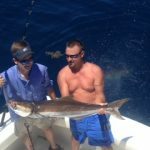 It takes skill and practice to catch a Cobia, but if done successfully, you can say you caught a true local favorite that many anglers are never fortunate enough to catch. 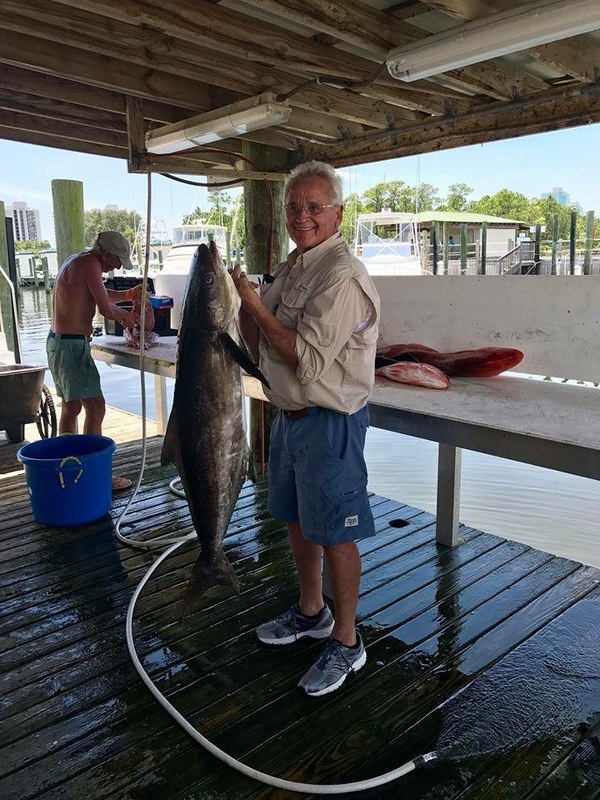 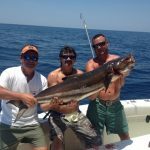 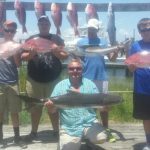 Try your hand at chasing the prized cobia in Orange Beach, Alabama by booking your fishing charter trip with The Triple-Trouble. 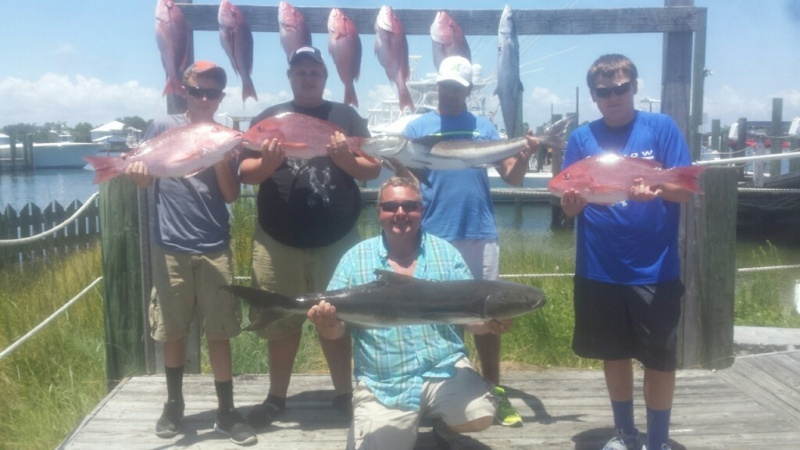 To learn more or to book your trip, call 256-431-5767 today.